This is one of those things that if you want to participate you're more then welcome to join along... I love to share with people things that I ♥ and figured this is a great way to share!! If you want to join, just blog about something you love... it can be ANYTHING... your children, a site, a store, an animal, your love:your choice, then link it back to my blog (make sure you mention my blog somewhere in your ♥ post)!! 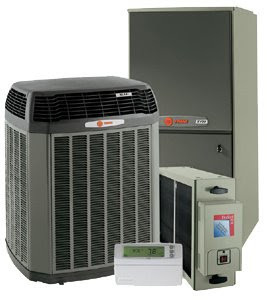 Today I ♥ a good, working AC unit! It's summer time here in the great state of Texas (as well as the rest of the country) and man oh man is it getting hot this year! I'm usually one to run around, year round, in jeans and be sooo happy but this summer is KILLING ME!! I had to give in and buy some shorts (yikes)!! I'm not a happy person with the heat this year (104+ for most days and the nights are getting much cooler then 80). Well, at work yesterday the AC unit decided that it isn't very fond of the Texas summer either. It just stopped blowing cold air, it was gross! I was out and about getting plants for work (I work for a Landscape Architect) and was already hot to begin with. When you get back to the office you expect it to be nice and chilly (my boss really hates the heat.. he's from Wisconsin) so I'm usually freezing when I'm inside. Well, the heat that came out the door when I got back was horrible! I called the AC man, he said he couldn't be here until tomorrow morning (I very clearly stated that I will be in the office at 8:30 am) and he would be here first thing! So, thankfully my boss came back from meetings, felt how hot it was, and let me go home... still paying for my hours (I'm hourly so leaving early hurts my pay). So, today I get into the office and it's cooler then when I left yesterday but still at 82 degrees. 8:30 comes and goes, so does 9, finally at 9:30 I call the AC man and he tells me he is on his way. I very nicely state to him "I thought our appointment was at 8:30 this morning" he very rudely tells me... "I got caught up and busy... be there in 20 minutes". This made me mad, I get that things happen and people get busy and appointments need to be delayed BUT as an owner of a business I do expect that if you're going to be over AN HOUR late to an appointment, call and let the client know you're running behind and a new time you will be there! Finally he gets here, puts 4 pounds of Freon (not sure what this means, minus the fact it fixes broken AC units) and leaves. Now, it's a little cooler today and we have a 30% chance that it will rain later on tonight (crossing finger, toes, and anything else I can cross) BUT I will say that I really do ♥ a working AC unit. I don't know how people can work outside, live with out an AC or anything, I know I've become spoiled with the great things that people have come up with but man, after yesterday I hope I don't have deal with that again, ever!! I'm trying to figure out how to make a link... but for now comment away and add your link afterwards so everyone can read your I ♥ !! 1. I LOVE THE HEAT!!! But that is coming to a very fast end in the love department. I used to be able to wear jeans all year long (yes even during South Texas summers) but this summer is making it clear that it's going to be 104+ most of the time and that is pushing it, even in my book, that's just WAY to HOT!!! 2. I Love to travel. Even if it's just up the road for a nature hike, spending time at a local lake, or some kind of cheesy historical thing. Anything works for me as long as it's out of town and I can "escape" from the things that will still be waiting when I come back but at least it's a little time away. 3. I miss Kansas! Yes, I said it...I MISS KANSAS. 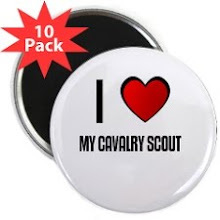 I didn't EVER think that I would say that, I mean EVER!! The longer I'm away I see how much more I miss it, my family, my friends, seeing little babies grow up that I want to love on everyday but can't because I live in Texas... I love Texas but I really do MISS KANSAS! 4. I love to cook... I just hate the clean up (yes Clare, I know I have a dishwasher so I shouldn't complain) so if someone where to clean up after I cook then my life would be great. 5. I hate to clean the kitchen. I don't know what it is about the kitchen but I hate to clean it. It's usually not THAT bad but when it comes down to it... the dishes will sit for days. Not sure what my problem is! 6. I have an illegal cat :)! I live in an apartment and they know that I have my dog but they have no idea that I have my cat. He's a good cat (85% of the time) and I've already paid a pet deposit on my apartment, soooooo I'm not going to tell them. 7. I am not a runner but I would love to be one... I hate people who are runners, I see them do it and it looks soooo easy. Well, it's not! I want to run! I've tried to "train" myself to be able to run and I just can't do it. I'm not one to give up but in this case I've come to realize that it just might not be for me. 8. I love Elephants. If you know me at all, or have read my blog recently, you know that I have a special place in my heart for Elephants. I'm not sure when this started or why an Elephant but I love them! 9. I read sooo many blogs! I love to read blogs!! Again, Clare, got me started. I follow sooo many and there are only about 2 that I actually know the people. I can't help but read about other people. I started reading sad ones but needed happy ones also, so I would find some... go all the way to the begging and read them. I don't "follow" all of them on my blog because I don't want people to think that I'm crazy! I love animals (especialy Elephants) I love how they are all different, just like people. I love that they have their own personality, their own language, their own community. They really amaze me how they are able to conform and change with the enviornment. When their home is invaded by other spieces, they move on to find a new home and make a new life... are we, as people, stong enough to do things like that? I see God in these creatures... how they love each other, how they can talk, move, and live as one. Supporthing their young and helping out when they are needed. I think that if we were to look at animlas and live more like they do (not the dirty part ;) but the helping part) maybe, just maybe we would all get along just a little bit better, there would be less saddness, more hope, more smiles, more loving. If you read my blog yesterday, I told you I would post something about why I wanted Lucky the Elephant to go to a Elephant sanctuary and why it's sooo upsetting that this poor Elephant is still, to this day, sitting at the San Antonio Zoo (SA ZOO). If you know me at all you should know that I have an everlasting love for Elephants. I do not remember when I decided to love Elephants or why they would be my favorite animal, ever. I just know that in my heart I love them and I only want is best for them. Let me say that I'm not the biggest fan of Peta, I think that they can do great things and open peoples eyes to how badly animals are being treated in situations. I do think they go over bored on A LOT of things (um, like killing an innocent fly). They have though, in a positive way, opened my eyes to how badly places treat Elephants. Zoos and circus a like lock these huge animals in cages WAY to small for their needs, most places don't offer running water, friends for them to socialize with (Elephants are some of the most social animals around), and not enough room for them to rome around like they like to do (most Elephants, free ones, walk up to 10 miles a day) causing them to get arthritis in their legs and this causes a premature death. Lucky in the Elephant that lives at the SA Zoo. She has been in the SA Zoo since she was 4 years old, she was caught while with her mother and put promptly back into captivity. She did have two other Elephants living with her but both have passed away (supposedly from old age for one - died at 50 but Elephants in the wild live to be past 60 and the other they will not release cause of death). 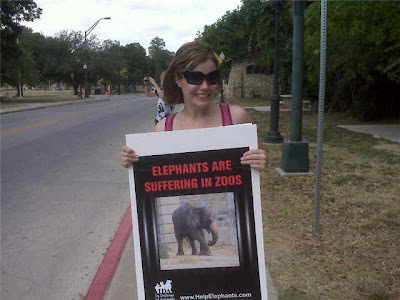 the SA Zoo has been rated (by agencies) as the worst zoo in the country due to small, concrete living areas, no fresh water, not enough room to walk around, and less then 3 Elephants. It's not a good situation to be living in for Lucky, I know if I was put in these same conditions I would be miserable all the time. I can't imagine that just because Lucky is an Elephant that she isn't sad, she just doesn't have a voice to state it out loud. On a happy note, there are two Elephant Sanctuaries in the United States that take circus and zoo Elephants, bring them to their land and let them be free. They are give as close to a "normal" life as they can have... fresh running water, miles and miles for them to walk around, many friends to make a heard with. The sanctuary in Tennessee has offered to take Lucky, bring here to their sanctuary and let her live the rest of her life as she should as NO PRICE to the SA Zoo or the tax payers. They are going to pay for EVERYTHING! The SA Zoo won't let Lucky go, they won't even listen to anyone or have any part of her leaving. They say that they are going to start to redo her part of the zoo in stage 3 of the Africa Live exhibit. Even if they do "redo" her living space they still won't have the room for her to be free like she should, they also want to bring in 2 more Elephants so she can have friends. I'm not sure why they think this will solve the problem, it will only take away from the already to small of exhibit that is there. It's pretty sad when people mistreat animals and even worse when they can fix the problem and choose not too. The SA Zoo isn't the only one around that has Elephants in bad living conditions but this is the one that is the closest to me. I truly believe that Elephants shouldn't be in Zoos at all, they should be free and living life to the fullest. I know zoos can be a great thing. It teaches kids and adults about things that many would never get to see if it wasn't for the zoo but they need to make sure they are providing this great service not at the expense of an animal. They need to research into giving them the best life they can and this isn't for just zoo's but anywhere that has animals in captivity. I know this is a crazy rant but before my eyes were opened to it, I didn't realize everything and I really just want people to be aware. I want people to see that these places that are supposed to be taking care of animals are sometimes (not always, I've been to some amazing zoo's who take great care of their animals) not doing the job that they should and people need to speak up about it. There is a petition going around, that if you would please sign that would be great, to try to help get Lucky to the sanctuary in Tennessee. It's a big deal and I'm afraid that if she is left here much longer, she is going to pass away... sooner then she should if she would have been left in the wild, where she belongs. If you want some more information on Lucky I've included a link that you can go too (click on Luck's name). Also included are some pictures for the "Free Lucky Rally" that I went to this past weekend with my friend Louise. It was nice, no one yelled at anyone, it really it just to bring awareness and to give Lucky a chance at some freedom. Thanks for reading this today and understanding it holds a very special place in my heart! If you want to join in on the fun head over to The Foster's Family blog! This week I'm going to wish for some things that I couldn't buy even if I had all the money in the world, it's just things I wish would happen to make everyone (or at least a lot of people ) happier these days! RAIN!!! - I know a lot of you have gotten more rain this year then you could ever wish for but here in Texas it's needed, big time! We haven't had a good rain shower in longer then I can remember. And we need more then one, we need about a week's worth of rain right now! Cross your fingers God will bring the rain!! 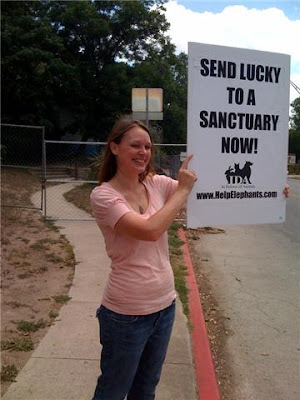 That the SA Zoo would let Lucky the Elephant go and live in a Elephant Sanctuary. This is a very close issue at hand, I love elephants... they are just amazing creatures. While I think Zoo's are a great thing and they provide education to children (and Adults) who would never, ever get to see some of these animals in person I've come to realize that Zoo's are not equipped to handle most of the animals that they have in captivity. 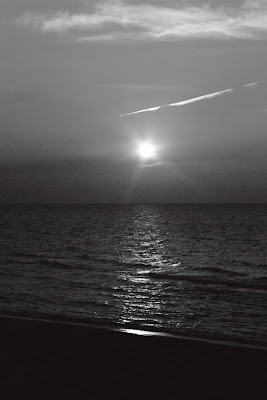 - I will blog about this tomorrow if you're more interested come back and see what I have to say (this is not to stir up bad feeling or try to get you on "my side" but I didn't realize this until it was pointed out to me... I just want to show you the "other side"
I know that is just 3 things I wish for this week but to me those are 3 HUGE things that I wish would happen! Have a happy Wednesday and see you back tomorrow and Friday!! 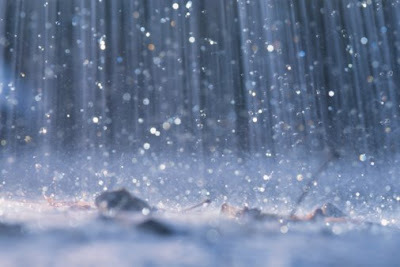 As many of you know I do not like (major, major understatement) thunderstorms BUT I do love the rain... as long as it's Texas rain. In Texas (especially South Central Texas) we do not believe in rain during the summer (except 2 years ago when I was threatening to build an ark, it seriously rained for 3 months, every single day), we live with drought conditions, water restrictions, and the blazing hot sun! So, when that occasional summer shower decides it wants to share it's self with us it's a welcomed surprise! Now, the rain might be welcomed but the humidity and heat that comes next is not fun, at all! I know, I know... I grew up in Kansas, how can I complain about 40% humidity when up there it's more like 80%?!?! Well, after many, many years here it's still bad and we are usually fighting about the same temperatures, we are just drier. ANYWAY! I see God's fingerprints in the rain, the rain that everyone just stops and looks at because it's been soooo long since we have had any. I see His fingerprints in the trees, grass and flowers after this rain. Everything just seems to pop back up, get some color again and not look so sad! This usually only last for a little while, but for that little amount of time it's amazing to see His creations, His rain again and remember that He will provide us with that "drink of water" when we need it the most, just like He does for this other creations, even if it's just a little drink, so to remind us that He is here, watching after us and He will always take care of us, we just need to keep our faith in Him! Isn't it the cutest thing you've ever seen? I feel in love right away... Clare said it was cute also (the bad thing is I never get to see them in person, I always ask the maker to ship directly to Fiona so I don't have to pay for shipping twice. Also, I've gotten bad at mailing things these days... Don't ask about Easter, it's a sore subject for me these days) and from the pictures, she looked stinkin' cute! Thankfully the Kansas weather allowed her to wear a long sleeved shirt for part of the morning and she got to show it off! YAY!! I loved it also the moment I saw it, I didn't have to look any farther! The colors were awesome and it's so girlie! Again, Clare loved it and Fiona looked awesome in it (again from the pictures I saw). There was a reason why I ordered this, it's a sad one. A little girl named Cora Paige passed away and to keep her memory alive her Mom and Dad decided to build a playground at their Church in her name. They needed help raising money, they didn't even have to ask. Many follower's of their Blog were Etsy sellers (some where not and opened a shop just to help raise money for this play ground), everything you bought the money went right into Cora's playground fund... I wanted to donate money. So, when looking through things that were being sold for this playground, I found the tutu! 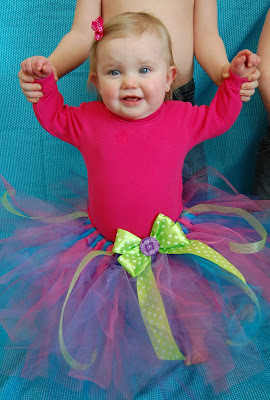 So, Fiona got her first tutu, I was able to donate money in Cora's name, and her playground raised enough and beyond the funds needed!! 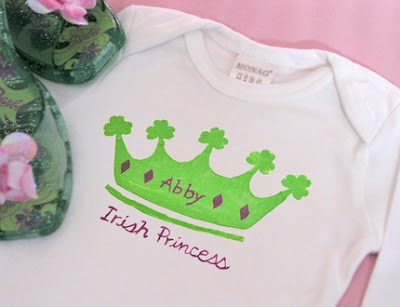 SO... today, instead of doing my work like I should, I was looking around on Etsy for things (a little girl named Fiona's birthday is coming up and what better to get her then personalized awesome gifts that are handmade) and found the cutest things ever!! I already ordered something (I had to email Clare for Fiona's size, as soon as I got that I pushed buy) but I'm not going to share today, I want it to be a sup rise for everyone! My problem is that I never want to tell Clare that I have something being shipped to Fiona (I always address it to Fiona, even though it's not a big deal now I want in the habit so when she gets older and is getting gifts it will be that much more fun due to it being send to HER) because I want her to be surprised BUT I can't help it and I always tell (like this post soooo told on me today) BUT I do manage to keep what I have bought a secret... all she know is something is on it's way! I love buying things for Fiona, if I can't be there to give her my love all the time the least I can do is send her love, in the form of presents (yep, I plan on single handily spoiling this child as much as I can from 600 miles away)!! Anyway, this is the end of my I ♥ post for today! 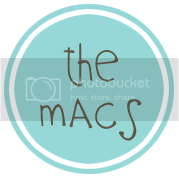 I hope you enjoyed it and see why I ♥ Etsy so much, it really is a great place!! Have a great Thursday!! 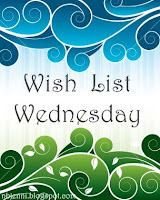 I've seen a lot of blogs out there for people who do Wordless Wednesday but I found this, Wish list Wednesday (from this blog that I follow), and it just sounds like fun! So... Here is my wish list for today in random order! A very pretty pink Coach purse... in a large size! 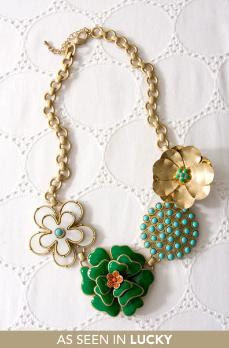 This awesome Stella and Dot necklace that I have been drooling over! It's fun to think of the things I would want if money wasn't an issue! Thanks Foster Family for a fun post today! My boss is not out of town this week... so of course I'm not just sitting here, taking my time on what work I have to do. Nope, not me, I'm always on top of doing my work, getting it down right away of course!! I did not answer the phone at work wrong, on more then on occasion. Then having to tell the person calling sorry and telling them the right name of the company I work for. Nope, I'm good at answering phones and do not let things I'm listening to interfere with what I'm saying! That would be silly!! I did not watch/listen to Lost when he was not here. NO WAY because then I wouldn't be doing my work... that I'm NOT taking my time doing! I did not mess up someones check this past week only putting a small amount of hours instead of a big amount of hours. Nope, I'm good at double checking everything, a million times and CATCHING what is wrong!! While attempting to eat dinner Monday night, I didn't try to cut my food while the plate was on the edge of the table. Therefore, I did not manage to spill every bit of my dinner on the floor (including salad dressing)!! Nope, not me... I know better then to set things on the edge of the table. Of course after not cleaning up the mess, not making a new plate, and sitting down to not eat it... I did not manage to miss my mouth every time I took a bite, not spilling dinner number two on the ground. I didn't just stop and forget about dinner!! I did not find out that Jess has been sick for over a week and had to cancel on me for the night. I was not upset to learn that I wasn't going to get to see the kids this week. It for sure didn't break my heart, I don't look forward to my time with them what so ever! I was not happy to learn that they might call me last this week to make up that time, nope.. I'm not happy at all!! I did not get up first thing to make throw a roast into the crock pot for dinner. Nope, I'm not a planner at all. I hate to plan things out like that, so I would not do something, anything like that!! The roast that I didn't cook wasn't amazing! I couldn't smell it outside the door before even going into the house! I didn't feel sorry for the dog and cat who had to be home alllll day long and not smell it while it was cooking. Friday was not the craziest day ever at work... the Sheriff's department did not come by looking for one of the guys that works for us! Nope, no one ever gets in trouble around these parts... not one bit! The bosses and I didn't have to set it up so the Sheriff could find the guy he was looking for. I didn't have one part of this so it didn't scare me half to death knowing crazy things were going to go down! I was not relieved that when the Sheriff showed up, the guy was taken and that was all. Nope, not around my work... everything is always CALM!!! I did not get to see WICKED with my friend Louise this past weekend... nope, not me. I'm not into going to the theater! It was not amazing, the singing did not have me in awe the whole entire time! We did not dress up what so ever. 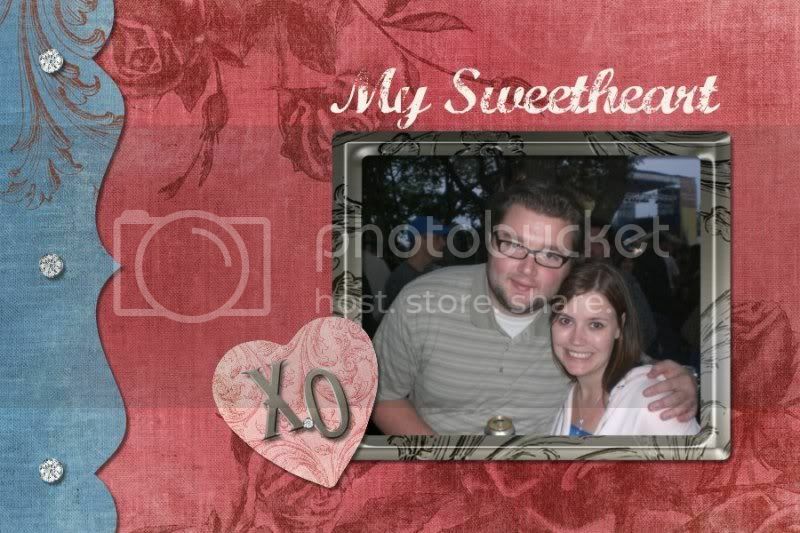 We might have not been the nicest dressed people at the show. I definitely don't understand how people wear jeans to the theater!! We did not decide that to sit out traffic we would go down to the river to have some drinks... we did not stay until close. We did not get hit on by 21 year old Army boys!! It was not a lot of fun and I did not laugh one bit. I do not think it's fun to have drinks with my friend and have a great night out! What a week I didn't have... I'm not glad to move on to another one. I'm not ready to go home to Kansas next month and I'm for sure not ready for some time away from Texas... even it's just a fast weekend get away to Kansas. I didn't order my tickets today (finally) for said trip to Kansas... it's so not official that I will be there!! I think that's all I DIDN'T do this past week. I hope you have a great Monday!! On a random note before I get going... I started this post on May 19th but with everything that has happened with friends it got put on hold. Not because my family doesn't mean so much to be but because I felt that my friends need some prayers... and seeing the kind of support I have received I know they got these prayers. I wanted to thank each one of you for doing this for me, it means so much to me and I'm sure if the people who you are praying for knew the kind of prayers they are getting they would be overwhelmed... 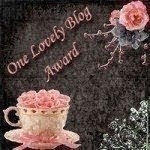 Thank You Blogging Friends, you are amazing people! Finger Print Fridays, I would have to say is at a very close first with my Not Me! Mondays! I look forward to finding God's finger print in my life, it makes me stop and look around and reexamine my life, in a good way of course. 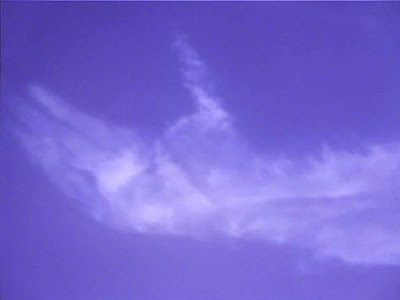 So far, I have seen God in my Church, my friends, a 4th of July rainbow, Owen, and the March of Dimes... this week I have seen the Finger Print of God in my family. If I didn't have them I wouldn't be in the world, I would have never been made, I wouldn't be me. I wouldn't have my dad's patience or work ethic, I wouldn't have my ever changing blue eyes, and light hair! I wouldn't be getting ready to celebrate another year of my life, happily. I love my family, sometimes they let me down and they aren't always as close as I wish they were but truthfully, I wouldn't trade them for anything... I love them more then anything, I would give my life for my family. I did choose to live over 700 miles away from them (those are the closest ones to me) because I'm not a fan of the cold weather (yes, my main trip home is at Christmas when it's snowing and ever so cold) and I just needed to get away. I was 18, I didn't realize what I was giving up. I didn't know how much it would hurt every time I had to get back onto that plane and leave them once again... I was 18, I knew better then anyone, I wanted a life away from Kansas and no one was going to stop me from that. Don't get me wrong, I do not regret moving to Texas... I love it here, I have made great friends, I have a wonderful boyfriend, and I have my friends families that have taken me in over holidays when it was just to far to go home. BUT, that is NOT my family, my hugs and kisses from my nephew, my dad taking care of me if I'm sick. I have gotten better at calling, saying I miss them, trying to visit at least twice a year, and trying to convince everyone to come visit me. I have grown up and realized a lot of things that I did wrong over the years and how I have hurt my family, but the best part about it... is they are my family, not matter what I do, say, or how much I hurt them they will always be there for me. They will not ever turn their back on me in a time of need, they will hold my hand when they can, and listen to me cry over the phone instead of in person... I love them and I am truly blessed to have them, no matter how close or how far away we are from each other! I love you guys, I hope you know how much you mean to me (not because I have to love you but because I choose to love you, unconditionally)!! I've also come to realize that I do not have very many pictures of my family (even at home)... I did steal some from people so if they are blurry, I'm sorry. I did not have the busiest week ever! It never stopped... right when you thought things were going to calm down... NOPE!! OH, I did not allow a 3 year old little girl to go for a 2 mile walk at the coolest park ever. There were not trails that went all around in the trees, down hills, past baseball fields. We did not also have her 13 month old brother along for the walk, with out a stroller. I didn't have to carry him over a mile because his little legs were not tired. I did not on more then one occasion try to put him down and have him walk a little more. I of course had my camera... because I do not forget it at the best times!! O did not stop every 2 min to plan in the dirt, pick up sticks, or try to eat the rocks. E did not say hi to every single person that passed us on the path. Nope, she is to shy to want to say hi to everyone. We also did not pretend we were on a Dora the Explorer walk, running away from trolls and other things she could think of. Nope, we would look silly doing something like that. E did not FINALLY get tried at the very last of the walk, telling me to go and get the car and come back for her. I did not have to tell her she needed to get up out of the walk way because I couldn't come back for her, she was not upset... nope, not one bit! She also did not get scared to death of a bike that had to pass her on the walk... because she was not sitting in the middle of the path because who would let a 3 year old sit in the middle of a busy walking path? NOT ME, that is for sure! I did not have jeans and flip-flops on. I did not have a huge blister that popped on my toe before the walk that didn't happened was over. I did not find out that my friend father passed away from cancer on Thursday, less then a week after he was given two weeks to live. I did not go to a funeral on Saturday. I did not hurt for her since the moment I found out that he had gone to be with Jesus. I did not worry every moment if she was alright, fully knowing she has an amazing boyfriend that will make sure she is at least eating, staying strong in that kind of way. Yeah, I didn't blog about this 3 not 4 times this week because it didn't help to get my thoughts out there. To not say what my heart felt. I did not put all my feelings, thoughts in God's hands... for he will not show me the path I need to take. Nope... not me, again that would be way to many sad blogs in one week if you ask me. On a happy note, she is not doing alright, she was not smiling this weekend, enjoying her friends, loving and thanking each and everyone of us for showing up to be there for her. I was not glad we went after hearing this. Yeah, I still have not forgotten to bring my camera cord to work so I can post pictures, nope... again, I'm ALWAYS on top of that kind of thing. I wouldn't forget something that was so important to me!! Nope, not me!! Well, that's it for this week! I hope to have some more fun and exciting things that I sure didn't do this week ready to go for next week!! HAPPY MONDAY!!! This week has been a hard one for me. I have decided that today, Figerprint Fridays, is a perfect place to reflect on the one major thing that has been eating at my heart. I found out that my friend's dads cancer had returned - he was give at most two weeks to live or to try to fight it with chemo (a 10% chance). He chose to fight it because 10% is better then 0%, he passed away less then a week later. Shannon and her dad, Mike, had a relation ship so much like the one with me and my dad. She talked to him all the time, he was there for her when ever she needed something, she was his life. The cancer brought them even closer together, knowing that God might decide that he wants Mike with him made them both realize that the time they had together was precious. They needed to talk, laugh, love like it could be the last day they had but hoping, praying that God wouldn't want Mike in Heaven, that he would let him stay and live the life that he had started here on earth. I think it hurts my heart so much because Shannon is such a great person. She is loving, kind, will drop anything for you, and even let you have a party at her house. She is amazing. My heart hurts knowing that her dad will not be there to walk her down the aisle when she gets married, hold his first grandchild from her, see her grow in Gods light even more. After this I've realized that cancer can affect anyone. No matter you age, height, weight, color of your skin, etc... Mike is about the same age as my dad. 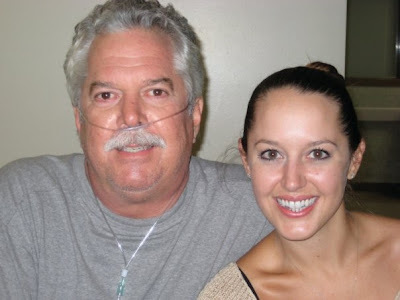 Thankfully Shannon lived about 20 min away from her dad, and when he was sick she could go after work everyday and see him, soak up the time she had with him. I'm so scared that something will happen to my dad now. He is over 600 miles away from me. I can't just pop in and see him when I want. It takes months of planning for me to see him. What if this was him, what would I have done? Would I have dropped everything in my life and gone to be with him? I really don't even have to ask that question... I know the answer, of course I would. My dad is my life, I don't know what I would do if I lost him - this is why I hurt for Shannon, they have the same relationship I do with my dad. So, after all of this I'm feeling I should share how I've seen God's Fingerprints in all of this sadness. I have been pretty bummed this week and last night it hit me pretty hard. But I see God, helping me through all of this... holding out his hand for me to grab so I don't fall down. Helping me be strong for my friend, no matter if it's just saying prayers for her or if it's just sitting with her while she cries. He reminds me that when I start to get angry, sad, frustrated at things around me to put it into his hands and he will show me the way he had planned. I'm sorry for the rambling and sad story. But that God's Fingerprints to me this week. I hope next week will be filled with laughter and happiness but it's in God's hands now and only time will tell. A couple days ago I asked for some prayers for my friend Shannon and her dad Mike. Well, I'm sad to say that Mike lost his battle with cancer last night (06/03/09) and went to be with Jesus. I have not heard anything from Shannon (I found out due to our boyfriends being friends kind of thing) and I'm not sure when I will hear from her again. I can't even start to imagine what she is going through, she is a daddy's girl, and now he has been take to God. I could keep going on all the things he is going to miss out on with her but I'm pretty sure all of you can think of those on your own. I know that when someone goes to Heaven you are supposed to rejoice and be happy that they have gone to live with God and in Mikes case,he is no longer suffering. It's just so hard. He was about the same age as my dad, he lived a healthy, happy life. Only getting sick once in awhile, and that wasn't anything major... just like my dad. It's a scary thought that it could happen to anyone. That people who are healthy, fit people can get cancer. That it doesn't just pick that people that don't take care of themselves. It's such a scary things, not knowing what it to come next. How Shannon is going to be in the next few years, she lost her daddy... I can't even start to imagine. Please keep Shannon, her family, and ever her dad in your prayers for awhile. They are going to need to feel that support that only God can give them as they face this very long road that is ahead of them still. Once again friends, I'm calling on you for some big time prayers that are needed. This time it's for my friend Shannon and her dad, Mike. 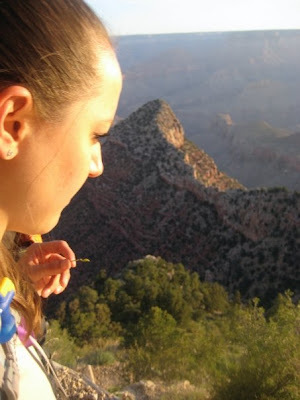 Below I have posted what Shannon has written about her fathers struggles with Acute Myeloid Leukemia, I took this off her Team in Training page, her boyfriend, Blake, Shannon, and our friend Jenny all trained to hike the Grand Canyon to support the research and hopefully someday soon the cure for Leukemia. Well, as you read her posts you will see that her dad went into remission, unfortunately she got news on Thursday that the Leukemia has returned. The doctors told Mike he could go home and maybe have 2 weeks or he could stay in the hospital, get another round of chemo and have a 10% chance that the chemo will help. He choose to do another round of chemo, he is a fighter and he isn't ready for this horrible thing to take his life from him. He needs your prayers, your thoughts, you kinds words. Shannon is strong but she is hurting... even if she won't let anyone see it, she needs your prayers just as much! If you think about it would you please add them to your prayer list... pray that Mike is in the 10% and the chemo will stop the Leukemia. Pray that Shannon can see God in all of this, that she knows she is not walking this road alone, and that it will all be alright, even when it hurts the most. As you may know on September 14, 2008 my father was diagnosed with Acute Myeloid Leukemia. After a couple Chemotherapy attempts to cure him we were unsuccessful because his Leukemia was refractory (won't respond to traditional Chemotherapy methods). From that point my father was sent over to the Bone Marrow Transplant specialists at Main Methodist. We had very little time to find him a Marrow match and before we knew it, he didn't have a match or have time to keep looking. From there he moved forward with a double Umbilical cord blood transplant. He is currently 80 days post transplant. Right now he is experiencing some Graft v. Host problems but hopefully this is just part of the process and he will go on to live a wonderful full life. We should find out in the next few weeks if he has reached remission so please continue to keep him in your prayers! My dad calls his cancer a divine gift from God. He feels like if he had to go through this in order to positively impact at least one persons life, then it was worth it. Having a personal connection to blood cancers has provided me the opportunity to connect with the Leukemia and Lymphoma Society (LLS) and raise money with thousands of other people to find cures. My dad is my hero, he always has been, please join me in the fight to cure blood cancers by making a donation of any size. It means the world to me, my father and thousands of others. Can anyone say REMISSION? I know I can! That's right, six months, three intense Chemo treatments and a double cord blood transplant later, we received the preliminary news that my dad has reached remission. I couldn't be more happy for him. This whole experience has been overwhelming. Even though we have gotten rid of the Leukemia we still have a road ahead of us. He is currently experiencing some Graft v. Host complications. Graft-versus-host disease (GVHD) is a common complication of allogeneic bone marrow transplantation in which functional immune cells in the transplanted marrow recognize the recipient as "foreign" and mount an immunologic attack. Once again my favorite part of Mondays is here!! I have not been working on this post for 2 weeks now, nope, I'm great at blogging and I do not have work that I should actually be doing instead of this! Nope, not me!! 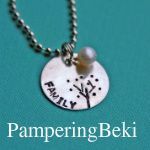 I also did not go to awesome jewelry part that same day and get an awesome yellow ring that I couldn't keep my hands off (to see what I am saving for and what I bought go to this post)!! I am not disappointed to STILL not have that jewelry!! It is not back ordered and I DO NOT have to wait another TWO weeks until I get it!! Nope, it's NOT killing me at all!! I for sure didn't go back to the boyfriends house to then show him that catalogue and point out the MANY things that I want out of it. I have not gotten my crazy dog used to the car by taking him back and forth between the boyfriends and my house, that would be a mean mommy, right? I absolutely did not have a blow up, I'm going to be mad at you for days fight with the boyfriend on Monday!! No way, we get along like pb&j (if that is what you like, I'm not a fan) always in sync, happy all the time!! There will never be any fighting, ever! I also did not start to celebrate my birthday a week early (remember from last week, that would be crazy to enjoy getting another year older) due to a friend wanting to give me a birthday gift early... nope, not me because I'm not 5 years old and I don't need to count down the days (as of the post day for this... it's tomorrow)!! I did not have a great time celebrating my birthday with some not great friends a week ago. Nope, I did not eat more then my tummy could hold and then manage to eat cake! OH!! This cake was not the most amazing cake EVER and it was also not the best tasting thing!! I also have not manged to forget to post pictures from the entire month of May. Nope, I'm good at keeping on that kind of thing.. I would never, never slack in that department!! I have also not started my Not Me! Mondays! on Monday, right after I posted my other one since I forgot over half of the things I DID NOT do last week... nope, not me at all!! For now... this is all, I actually have a lot on my mind and need to do another post in just a few min!